Ed Simon is an editor for Berfrois and a staff writer for The Millions. 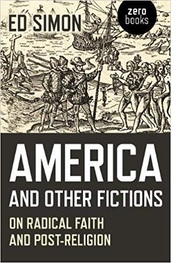 His collection America and Other Fictions: On Radical Faith and Post-Religion is available from Zero Books. God still spoke to his prophets during the 17th century English civil wars. Oftentimes God thundered in paradoxical aphorisms that sounded heretical or blasphemous. Sometimes, two centuries before Friedrich Nietzsche, God would declare his own death. For the members of the dissenting religious sects that functioned as the pamphleteers for these ideas, theology was a radical practice. Faith didn’t exist to bolster things-of-this-world, but rather God’s decomposition allowed for a fecundity where new meanings could grow. Subsequently, groups with colorful designations like the Muggletonians, the Levellers, the Diggers, the Grindletonians, the Philadelphians, the Behmists, the Familiasts, and the evocatively (and appropriately) named Ranters produced some of the strangest and most beautiful theological work in Christian history. Theirs was a fervency before the sublime altar of Nothingness, a wisdom prostrating itself before an empty throne, holding to the 18th century visionary poet and prophet (and possible enthusiast for Muggletonianism) William Blake, who wrote that “men forgot that all deities reside in the human breast.” This dictum reverberates in the prophetic work of Blake’s great theological reader, our contemporary Thomas J.J. Altizer, who passed at the age of 91 on Wednesday, November 28. His former student Alina Feld, an adjunct professor of philosophy at Hofstra University, remembered Altizer as “an indomitable gadfly awakening all slumbering, lukewarm hearts and minds,” a voice more at home with the radicals of the 17th century than with the bromides of contemporary conservative Christianity. 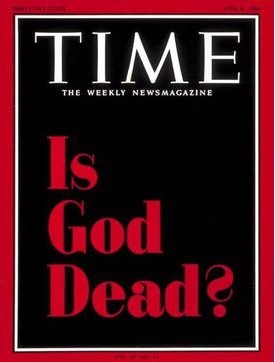 Altizer is associated in the popular imagination with the best-selling 1966 Time article about his and others’ contributions to the “Death of God” movement which tried to reconcile Christianity and Judaism to Nietzsche’s infamous declaration about God’s mortality in The Gay Science. Altizer, who was then a professor in the religion department of Emory University, was joined by Fr. Paul van Buren at Temple University, Rev. Gabriel Vahanian, Rabbi Richard Rubenstein and William Hamilton. These scholars drew upon the philosophy of Nietzsche, as well as more recent theologians like Dietrich Bonhoeffer and Paul Tillich, asking what it meant to have faith in a faithless world. Altizer wrote that “modern man has known a moral chaos, a vacuous nihilism dissolving every ground of moral judgment, which is unequaled in history,” where God’s silence is louder than any Hosanna. Born to wealthy parents in 1927, Altizer was raised among Charleston, West Virginia’s high society. A direct descendant of Confederate general Thomas “Stonewall” Jackson, Altizer would reject the reactionary politics of his upbringing, as well as the conservative Christianity which acts as its handmaiden. Writing in 1966’s The Gospel of Christian Atheism, Altizer argued that “the radical Christian maintains that it is the Church’s regressive religious belief… which impels it to betray the present… reality of Christ.” Altizer would receive his bachelors, masters, and doctoral degrees entirely from the University of Chicago’s famed divinity school. During this period, he attempted to become an Episcopal priest, but was rejected after a psychological evaluation in which he revealed both his personal experiences of Satan and his revelation of the death of God. After a short stint as a professor at Wabash College, he would move to Emory University where he would first develop his infamous theology. Altizer can be an esoteric thinker, conversant with poetic metaphor as much as logical syllogism, the better to synthesize Nietzsche and Blake with Paul and Augustine. McCullough explained that “Altizer’s conviction is that the historical church reversed the real emphasis of Jesus’s teachings,” and in that regard he stood with both the ancient Gnostics and the early modern dissenters in excavating a radical Christianity opposed to profane reality. Altizer wrote that the “the original heresy was the identification of the Church as the body of Christ,” a species of idolatry that inevitably corrupted faith. Identification of such corruption is a mainstay of political theology. It was the diagnosis of Lollards denouncing the medieval Church, of the Protestant reformers denouncing Rome, and of Anabaptists denouncing everyone. What makes Altizer fascinating is that he stands against any organized Christianity, seeing the very idea as contradictory. His theology holds that the “exalted and transcendent Lord is a sufficient sign to the radical Christian that Christianity has reversed the movement of the Incarnation.” By way of paraphrase to the eastern faiths which fascinated Altizer, the spoken Christ is not the real Christ, and should you meet Jesus on the road you must crucify him. Altizer and his precedents sang in tongues of fire; they were theological astronauts. McCullough told me that Altizer’s thought was “committed to the ultimate sacredness of life in this world, here and now, rather than a heavenly realm after death,” and in that I hear Reeve who thundered in one pamphlet that you must “look into thy own body, there thou shall see the Kingdom of Heaven and the Kingdom of Hell.” Far from a purely atheistic negation, this perspective was intoxicated with God, for by erasing those distinctions between the almighty and everything else there was the promise of making the world a Paradise. Anyone who met Altizer couldn’t help but be struck by a similar God-intoxication, even with his reputation for “Christian atheism” (or perhaps because of it). Seventeenth century non-conformists understood that theology and rhetoric are equivalent, and spectacle was central to their teachings, be it the Leveller Gerard Winstanley destroying hedges which separated private estates, or the Quaker John Naylor marching into Bristol by donkey on Palm Sunday. Corresponding with him through email and having met him several times, I can attest that Altizer had a similar countenance. Meeting him at the first conference of the International Society for Heresy Studies held at New York University in 2014, my impression was of having conversed with an actual prophet. Imagine Blake in a red blazer over a Hawaiian shirt, standing at Broadway and W. 4th. Altizer was the latest of the dissenters, the final nonconformist, who promised intimation of salvation in a universe without redemption. He knew the score, writing that for “the Christian who bets that God is dead” there are risks of “both moral chaos and his own damnation.” Yet Altizer was a betting man, and what he gained was a type of liberty. Such was the Blakean imperative, what he describes in Godhead and Nothing as “theological language [that] is a truly universal language,” which is the “absolute No… a darkness which is finally the darkness of God.” Blake wrote with thundering truth that “I must Create a System, or be enslav’d by another Man’s.” By such standards Altizer, who died on Blake’s birthday, was one of the freest of people.